Working and studying at the University of Rochester is an exceptional privilege that often comes to those with strong backgrounds in elementary and high school education. The Department of Biology is expanding our educational mission to various demographics of the greater Rochester community, with a special focus on communities where grade school performance is lagging. A major departmental objective is to integrate our efforts into a coordinated outreach mission that supports first-generation and/or low-income Rochester School District students beginning as early as elementary school with the goal of gaining admission into college. Other efforts are aimed at enriching educational opportunities for suburban schools and the lay general in the greater Rochester community. We are instituting multiple programs at School 58 (K–12) to support and encourage first-generation and/or low-income students to set college admission as an achievable goal. This mission is made easier by preexisting outreach agreements between the David T. Kearns Center at the University of Rochester and Rochester City School District high schools. Our current focus is on enriching the educational experience of middle and high school students through in-class presentations by biology faculty and graduate students, supporting high school AP biology laboratories, visits to the Rochester campus for lab demonstrations, and tutoring programs. Since 2009, local experts and faculty from the University of Rochester and Rochester Institute of Technology have presented more than 30 topics covering all aspects of science and engineering. For presenting faculty members, the cafés provide an opportunity for the speakers to share their passion with a general audience. Science cafés are not lectures; rather they are highly interactive conversations. The cafés are held on the fourth Tuesday of the month (excluding December) during the academic year at Barnes and Noble Booksellers on Monroe Avenue in Pittsford. Schedule and information about the cafés can be found at sciencecaferochester.blogspot.com. 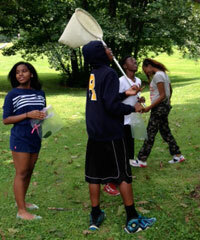 Each summer, the Department of Biology engages with high school students in the University of Rochester’s Upward Bound Program. Faculty, staff, graduate students, and undergraduates work together to provide six fun and informative lab activities to classes of up to 20 Upward Bound students. We are also now welcoming Upward Bound biology interns for a full month of research. 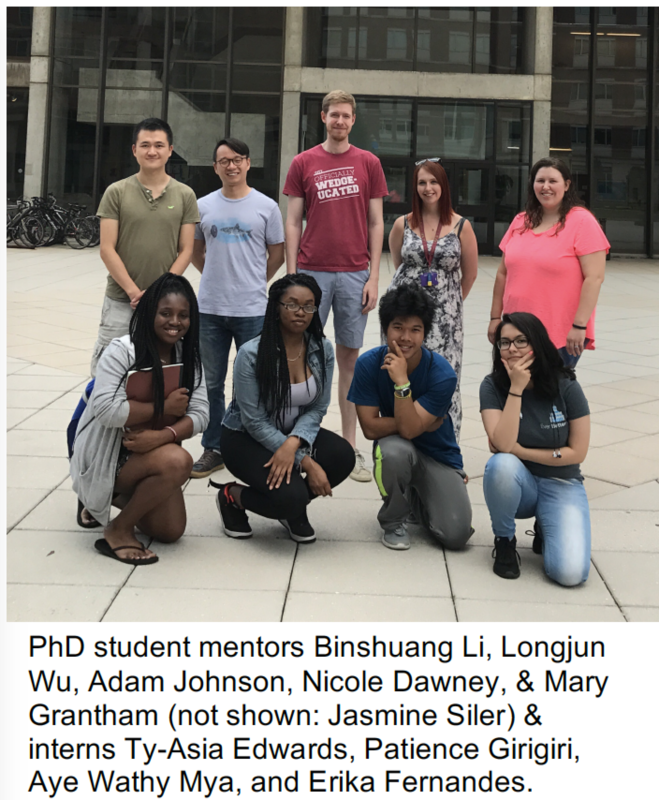 Four Upward Bound students and six graduate student mentors participated in this opportunity in the summer of 2017.